A large African Fallow Deer hide from a Newcastle Game reserve in South Africa. The Fallow Deer is a non-indigenous specie imported from Europe during the early colonization of South Africa. 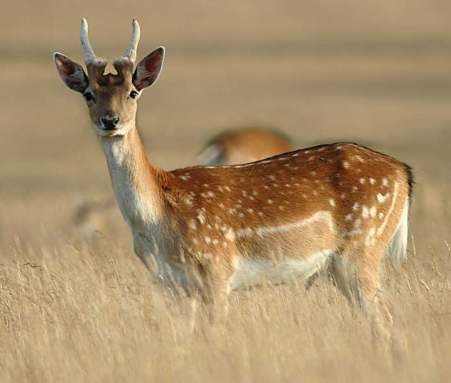 A ruminant mammal and exclusive grazer, the Fallow Deer adapts readily to most habitats. 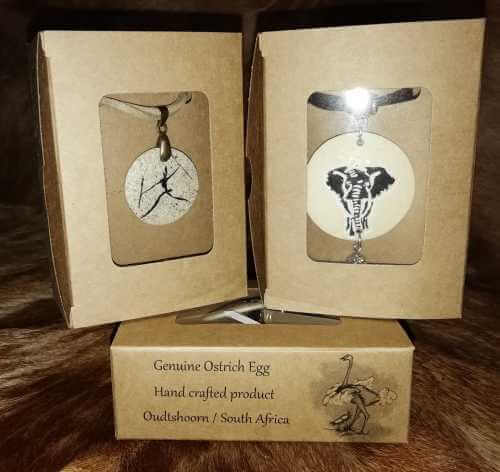 They can be found in the wooded areas of the bushveld to the open plains and mountain ranges. The Fallow Deer's coat is bright fawn in color and spotted white during the summer months with a white belly. 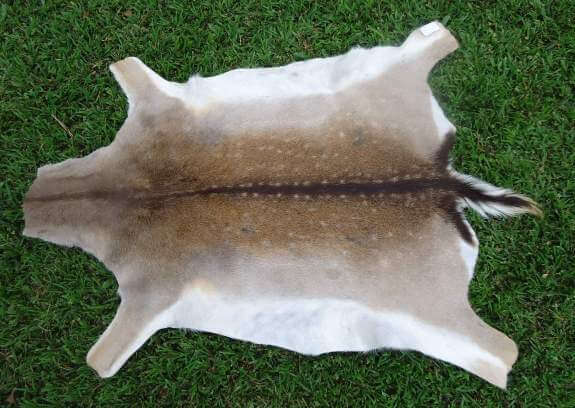 We obtain all permits needed to export this Fallow deer hide to you, the price of the permits is included in the shipping. A medium sized deer with more color variations than any other. Color range from white all the way to chocolate brown/black. During the summer months, most are rich brown with white spots, in winter, the coat becomes much thicker and rougher, turning a darker color. A broad black dorsal line runs from the neck to the rump, and broadens to include the tail. 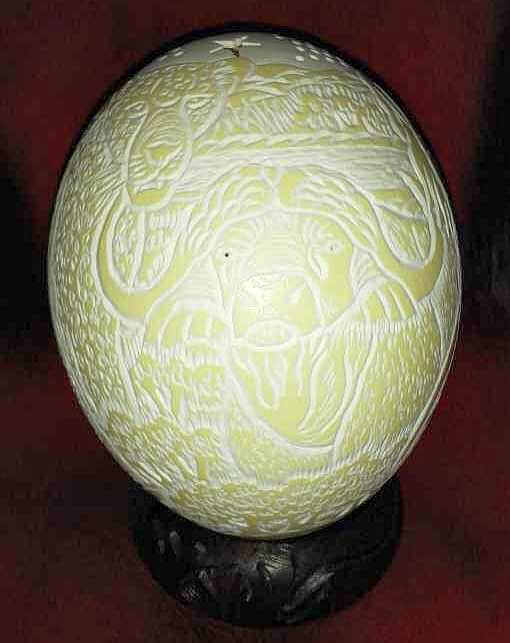 The under parts are lighter in color to white. Males have a prominent Adams apple. Both black and white individuals are common. In South Africa the fallow deer is a non-indigenous specie imported from Europe during the early colonization of South Africa. A ruminant mammal and exclusive grazer, the fallow deer adapts readily to most habitats. He can be found in the wooded areas of the bushveld to the open plains and mountain ranges. Only the males carry antlers, which are palmated above the main beams with a number of points evident along the rear edges. The stag sheds his antlers annually during early spring and the new antler growth is usually complete by October or November. Fallow Deer from Europe where introduced near Cape Town, South Africa, in 1869. Since then numbers have increased dramatically and many have been trans located to various regions throughout South Africa. An extremely interesting and sort after by hunters for the meat, stags can be heard calling and one can detect and stalk stags by the sound of crashing antlers. 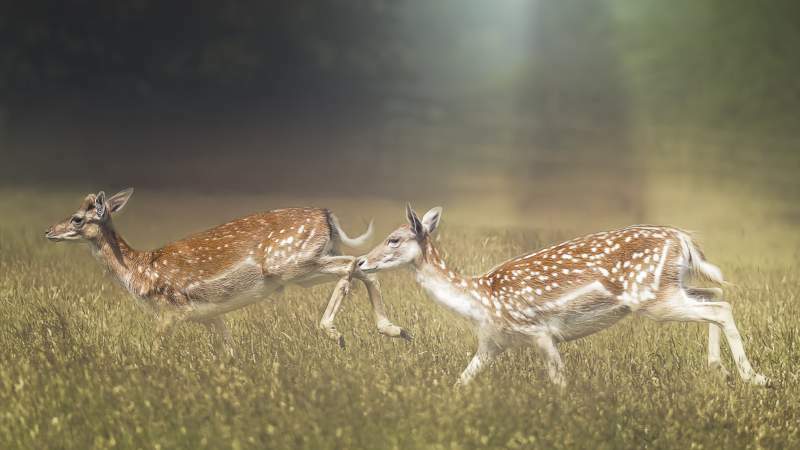 During the rut the deer lose all fear of humans and become obsessed with mating. 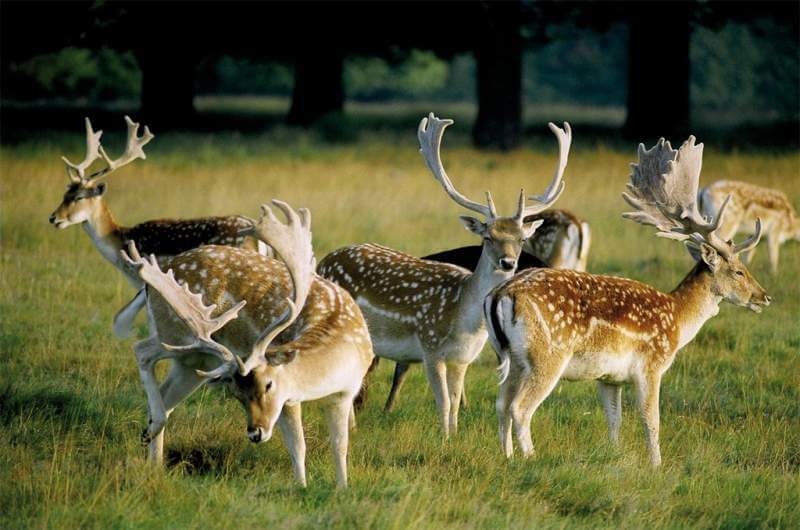 The Fallow Deer are very social animals, especially with the females. They will form big herds. If food supplies start to become scarce they will split into smaller groups as this will increase their chance of survival. The males are loosely associated with the herds, coming and going. It isn’t until mating season that they really start to keep an eye on the females around them. Size: Male = shoulder 85 cm; Female = shoulder 40 cm tall.